PLEASE NOTE: This product is now obsolete and will be replaced by the BW Clip. Enhance your safety with the BW GasAlertClip Extreme single gas detector. This particular version of the gas monitor will detect oxygen (O2) and alarm levels of 19.5% (low) and 22.5% (high). It’s suitable for those who may work as onsite contracts or as facility workers. Despite being such a small monitor you can be assured that the GasAlertClip Extreme is extremely tough and reliable with its water-resistant casing. It’s also very easy to use a features a simple one-button operation. 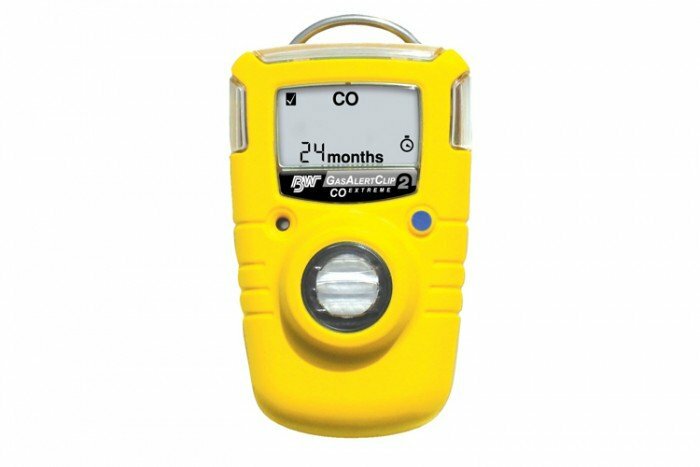 This O2 gas detector is very cost-effect and there should be no need for your charge or replace batteries in the instrument. There’s also no requirement for the replacement of sensors or for calibration. 0 - 30.0 % by vol.